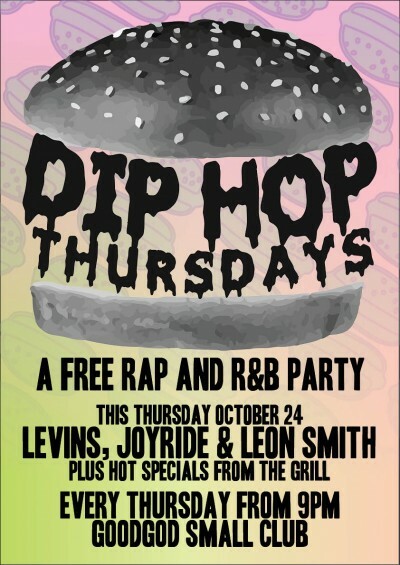 Rap and burgers. The finest combination. Coming together for Dip Hop, Goodgod’s free Thursday night throwdown. Check out the Juicy J, exclusive to Thursday nights, amidst the city’s best rap soundtrack. Weekend starts early. From 9pm every Thursday.